Exclusive: Official Washington insists Iran is the main Mideast troublemaker when clearly that isn’t true, but the “group think” explains why a few intercepted arms shipments to Somalia where linked to Iran and Yemen, reports Gareth Porter. The Obama administration also had sought to promote the charge that Iranian was covertly sending weapons to the Houthis by sea more than two years earlier. 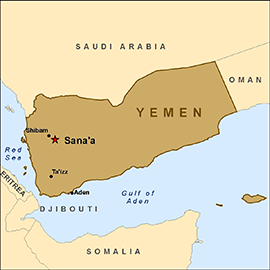 In January 2013, the Yemen client government backed by the United States and Saudi Arabia had claimed that its forces had intercepted a ship with a large cargo of weaponry that came from Iran and was on its way to Yemen to deliver them to the Houthis. The mainstream U.S. media portrays the New Cold War as “white-hatted” Americans standing up to “black-hatted” Russians to stop aggression against NATO and to save children in Syria, but the reality is much more gray, says ex-CIA analyst Ray McGovern.